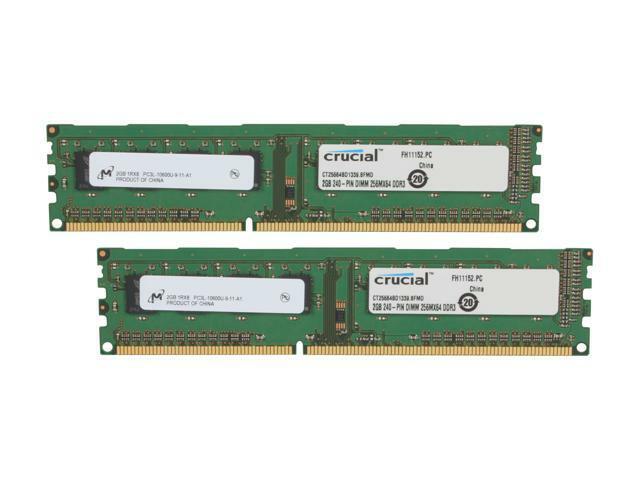 Comments: Used these for two months then replaced them with the higher end Crucial Ballistix, for the two months I used them they have worked great and I would highly recommend these or any other memory made by Crucial. Comments: Unless overclocking your 1155 socket CPU, no need to buy anything else. Comments: Works like a charm. Comments: I bought because of the crucial name even though it didn't have any reviews.